One of the most inconvenient, and sometimes painful, experiences comes from pressure in your ears. For most people, flying creates that dulled, muffled audial perception—similar to feeling submerged in water. The culprit is a change in barometric pressure as your plane increases altitude. So, if you’re preparing to fly somewhere soon, we at FastMed Urgent Care have some great ways to relieve that pressure. If this isn’t your first time flying, then you’ll know what to expect—a little more than just some simple pressure in your ear. Other symptoms of “airplane ear” will vary depending on your sensitivity, the altitude, and other factors. They range from a full feeling inside your ear to impaired hearing to actual discomfort. You may even experience some ringing in your ear, but that’s only in quite severe cases. Yes, sorry to say. Pressure in your ear isn’t limited to just flight. There are other causes, such as scuba diving, overuse of cotton swabs, buildup of earwax, and even driving at high elevation. 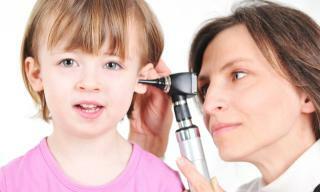 There may be other instances of ear pressure, and you should seek medical assistance should you not be able to identify the cause or if it persists for several days. Okay. Now onto the important information—TREATMENT. You know you keep your ears clean and you’re careful with those cotton swabs. You are, however, reading this after the Wi-Fi light just came on mid-flight. If you’re under (ear) pressure like David Bowie (anyone? ), you’ll want to see a medical professional as soon as possible. Fortunately, we’re open every day of the year, with extended hours, so stop in today at one of our great locations.